I’ve seen an awful lot of China over the past decade. If I were to draw up some kind of top ten, I’d almost certainly find a spot for the coastal city of Qingdao in Shandong Province. 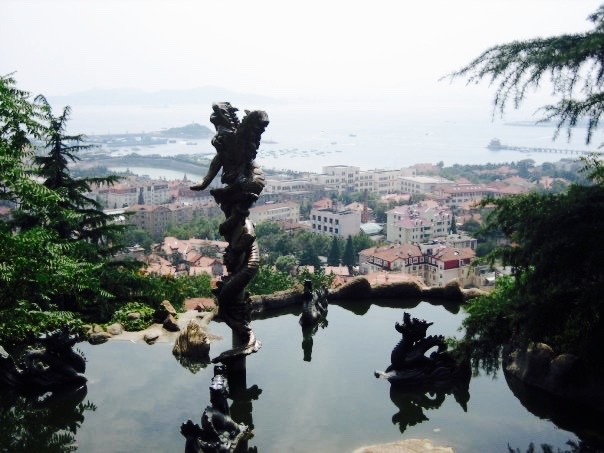 While there are no jaw-dropping sights to speak of Qingdao has bags of charm, from its collection of beaches and fresh sea air, to European style churches and squares, cobbled streets and surrounding mountains. From my very first bout of China travel back in the summer of 2009 Qingdao served up some of my fondest memories. Views over Qingdao from Xinhao Shan Park. August, 2009. Qingdao also features in my short story Don’t Let Me Down, taken from my series Challenged in China.